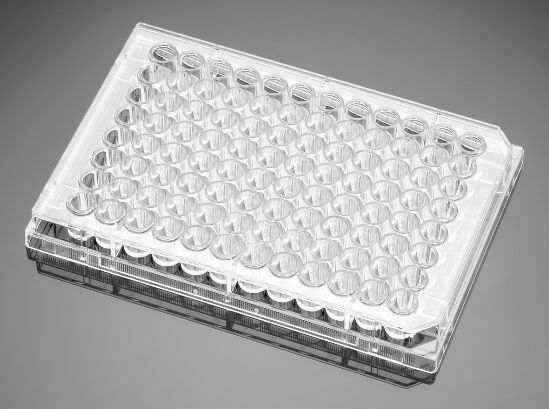 Bottoms are 60% thinner than conventional polystyrene microplates, resulting in lower background fluorescence and enabling readings down to 340 nm. Opaque walls prevent well-to-well cross-talk. Optically clear flat bottom permits direct microscopic viewing.